Master Box Dimension : 22" X 14" X 19"
Become a pirate with this pirate accessory playset! Set includes all the things necessary to be a pirate, a pretend gun, hook, sword, parrot, and even a treasure chest. 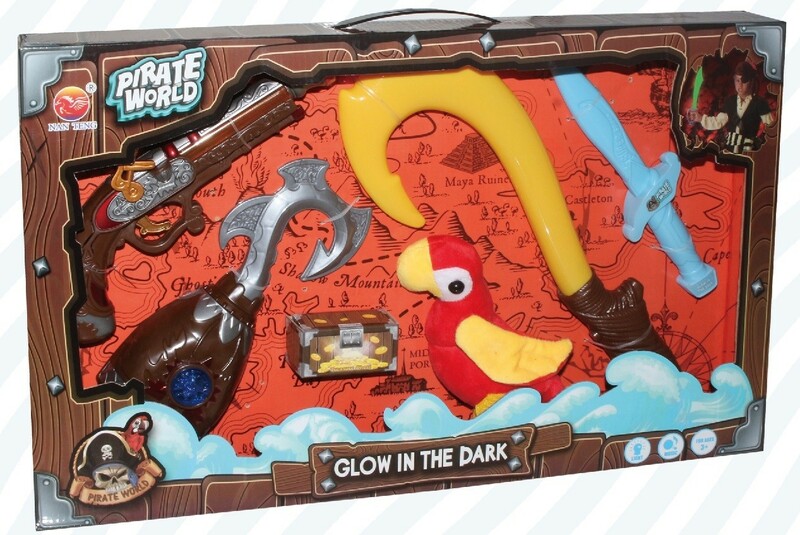 Sword also glows in the dark for pirate play during the day or night.